One of the concerns clients often bring at the beginning of counselling is whether their problems are ‘bad enough’ for them to seek counselling. Some worry that they don’t want to take time away from ‘people who feel worse.’ If you are struggling with something, or want to work on something about yourself or your life, counselling is the right place for you…for as long as you find it helpful. People attend counselling for as long as they feel it is necessary or helpful to them. This may be only a few weeks, or it may be for many years. Sometimes people attend counselling for a long period of time all in one go, or they may use therapy episodically, as a resource and help when things feel difficult. I often suggest we start by contracting for six weeks and then see where we are. Can I end whenever I want to? Yes. Our counselling continues for as long as you believe it is helpful for you. If we are working in the short term (for a set number of weeks) we will have agreed an end point (though you can stop any time you want to). If we work in an open-ended way, we will explore the idea of endings periodically to see how you are feeling about ending. Because endings can bring up difficult feelings and can in themselves offer the chance for growth and healing, I suggest you aim to give me at least two weeks notice before ending (as outlined in the contract), so that we can spend some time thinking about the work we have done together, what you’ll be taking away – as well as any feedback you may have for me. Will you discuss what I talk about with anyone else? Therapy is a confidential space. I will not discuss what we talk about (though you may do so), except in clinical supervision (a professional requirement for counsellors and psychotherapists to ensure safe and ethical practice) where your details will be kept anonymous. Full details of how confidentiality works in counselling and the rare occasions on which I might need to break confidentiality are detailed in the counselling contract. If you have any concerns around this we can explore them in our first session together. You don’t have to talk about anything you don’t want to. You lead our sessions. We talk about what you want to focus on. It can be helpful and relevant to talk about past events, family relationships and how you felt as a child, particularly in longer term therapy, as I believe our childhoods do impact our present ways of being, but if, when, and how we talk these aspects of your life will be up to you. I will never tell you what to do. You are the expert in your life, and what works for you will be as unique and individual as you are. I may, however offer information or ideas drawn from therapeutic theories that might help put your experiences in context, and together, we may think about techniques available to help you cope. I can work with existing diagnoses and explore what these or potential diagnoses might mean to you, but I do not myself make diagnoses. My priority is to work with you as the unique individual that you are. This is a session in which we can get to know each other and discuss what you might like to gain from counselling. We will also go over the terms of the contract with you and do an initial assessment, which is an informal conversation to understand what you want to work on and a bit about the background of the problem. At the end of the session, I’ll let you know if I think I’m the right person to help you and you can think about whether you would like us to continue working together. You can take away a copy of the contract to bring back signed next time, if you decide you want to continue working with me in therapy. No, you don’t need to prepare or bring anything except yourself. What will we talk about week-to-week? This will really depend on you and what you want to work on. We may be thinking in a focussed way about a particular issue or goal you want to deal with, or we may be exploring in a more open ended way, in which case we may work with whatever’s on your mind or how you’re feeling during that particular session. Your therapy is a process that we will create, discover and develop collaboratively. 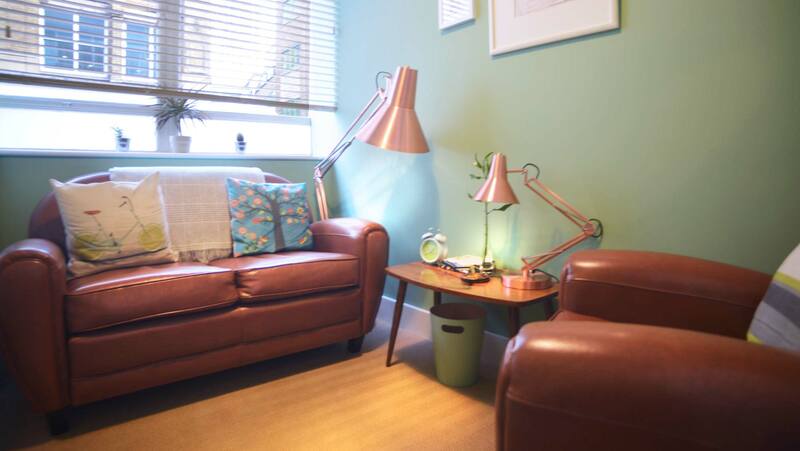 Do you specialise in a particular type of counselling…like CBT? I’m an integrative counsellor. This means I can use various counselling skills and approaches in my work with you, which gives us the flexibility to find what works for you (something that may shift and change over time). For fuller details of how I work, see my approach. I’m not a purely Cognitive Behavioural Therapist (CBT) therapist, however I may integrate aspects CBT, and if we find this approach appeals and works for you, we can choose to work more in this way. If not, we may find other ways that feel like a better fit. Do you offer evenings or weekend sessions? I offer a variety of daytime and evening slots on weekdays. I do not currently offer counselling at weekends. I charge £45 for the initial session, then £60 per session thereafter. I use an iZettle card reader and take payment at the start of each session. Block bookings or payment in advance can also be arranged. Yes I do. Telephone counselling follows the same framework as face-to-face sessions, in that we will agree a regular day and timeslot. For some people, it feels easier to talk with someone over the phone than in person. What age clients do you work with? Do you work with couples? I work one-to-one with adults (aged 18+). I am not at this time working with couples, young people or children. I work from a room in suite of counselling rooms near Old Street. There is a waiting area and other practitioners in the building.